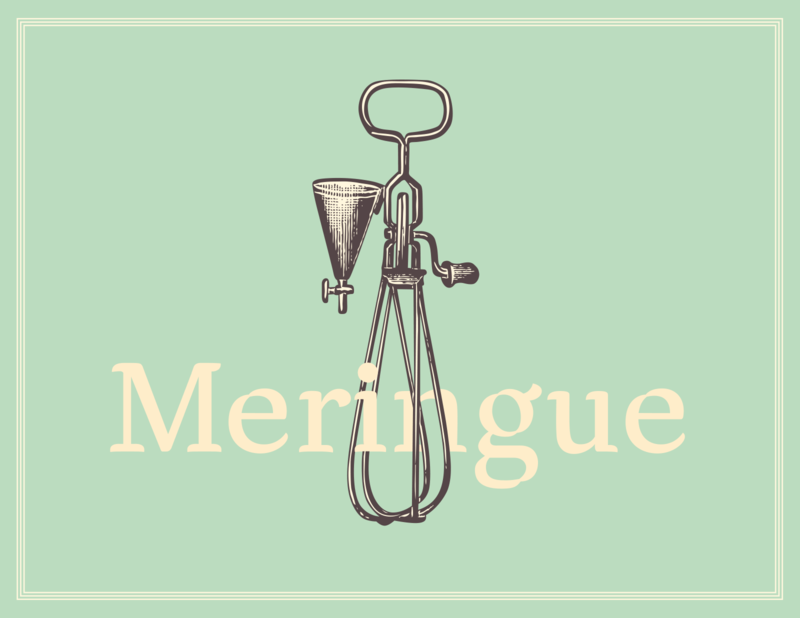 Meringue was designed to be delicious — it’s suitable for use with fun yet fancy products, signage and packaging. It has both fluffy curves and sharp details throughout. The bold italic is an exaggeration of the curves, pinch,and brush-like tails. The letters were constructed from my calligraphic drawings based on the humanist model. I loved the unique “pinch” element that was naturally created by the tool, so I exaggerated this element as well as the rounded terminals and serifs. I chose the name Meringue because it was one of the only few gluten-free deserts I could eat here in Paris. It did also, however, fit great with the font’s light, fluffy texture and twisted, sharp tops. 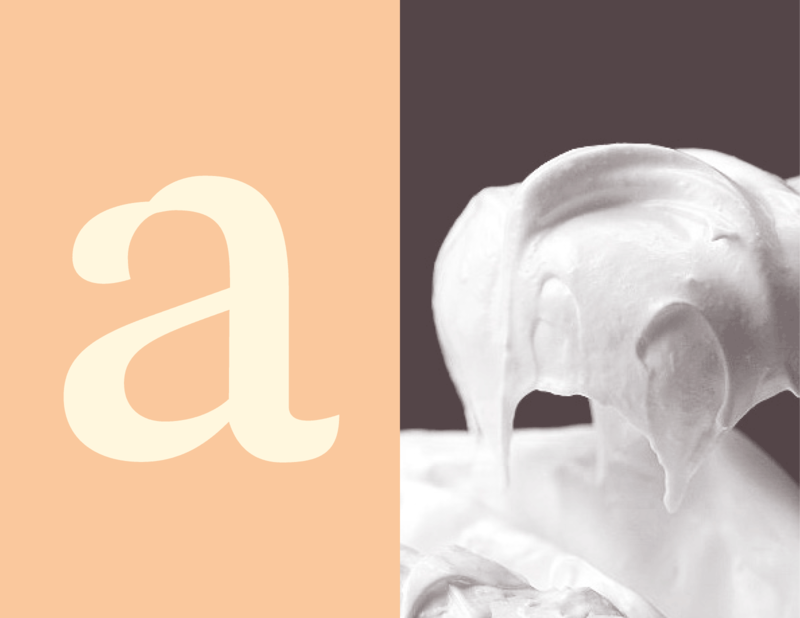 Meringue comes in regular as well as bold italic. The bold italic is a super exaggeration of the pinch, curves and brush-like tails. 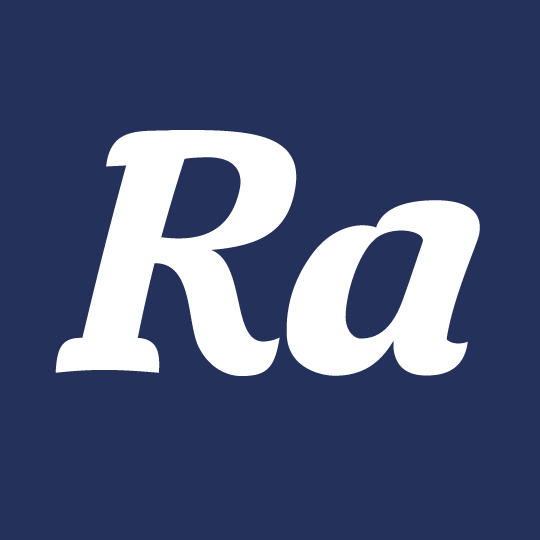 In addition to the 26 upper- and lowercase letters in the English language, this typeface also includes old-style numerals, punctuation, ligatures and several diacritics. 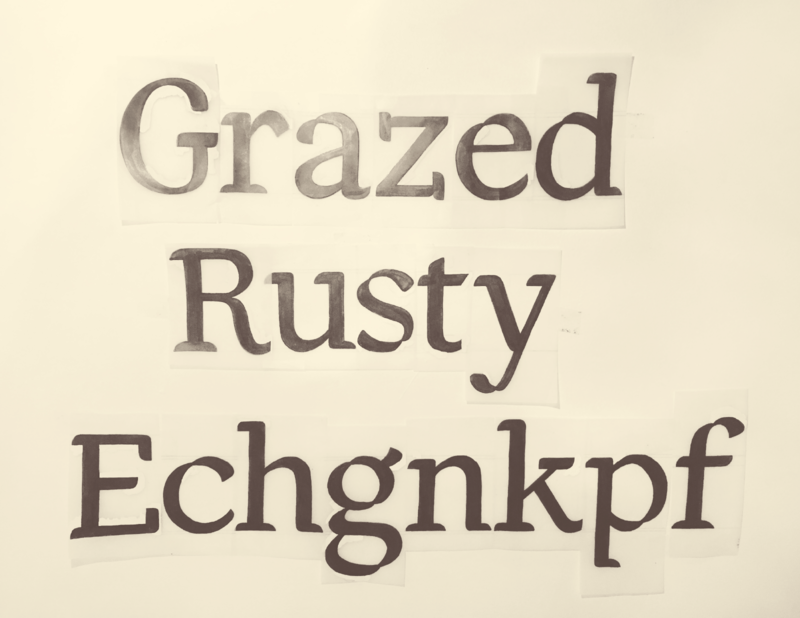 This was my first experience designing a typeface and I learned more than I could possibly imagine. I would like to thank Jean François Porchez, Mathieu Réguer, Julien Priez, Xavier Dupré, and all of our guest instructors for pushing me to do better. You have all inspired me and reminded me just how much I love type. 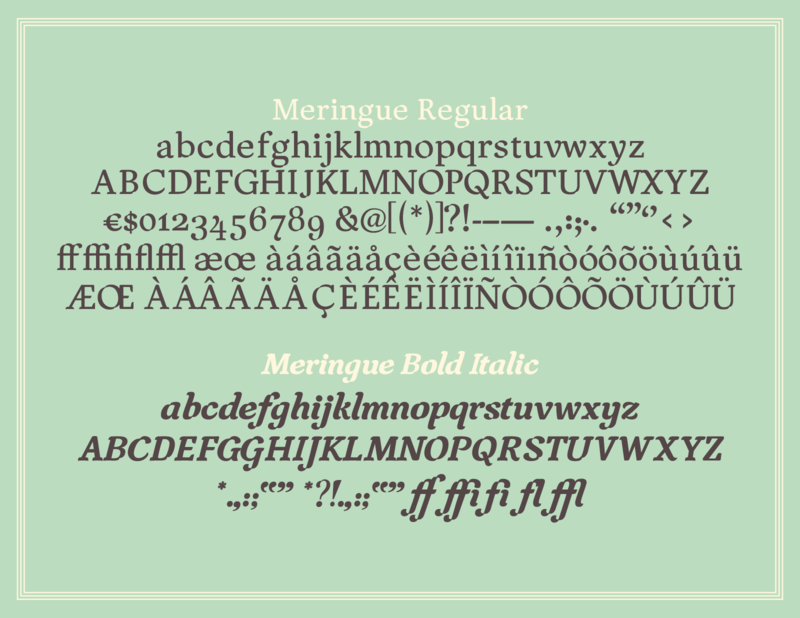 Meringue is a high-contrast display typeface designed by Shauna Hartsook from Calgary, AB, Canada.